Nancy Schoenborn, M.D., assistant professor in the Department of Geriatric Medicine and Gerontology at the Johns Hopkins University School of Medicine, and colleagues went straight to the source and conducted three qualitative studies that put older adults at the forefront in order to gain a better understanding of if, and how, they prefer to discuss various health topics.Let’s Talk About Life Expectancy … or Not? In a small group study published in November 2017 in the Journal of the American Board of Family Medicine, researchers interviewed 40 older adults on how and when they preferred to discuss life expectancy with their primary care doctor. Schoenborn and team found that 32.5 percent of participants never wanted to discuss their life expectancy, 35 percent were open for discussion if expectancy were longer than one year, and 32.5 percent only wanted to have this discussion toward the end of life. Researchers also found that the majority of the participants, even the ones who never wanted to discuss, were open to be offered the opportunity to discuss life expectancy with their primary care doctor. This research also assessed how the discussion should be phrased when initiating the conversation about life expectancy with older adults. Due to the negative perception of the word “frail,” older adults oftentimes overlook frailty as a medical syndrome. Researchers at Johns Hopkins Medicine conducted the first study in the United States that explored older adults’ perception of frailty. It was published on Feb. 13, 2018, in BMC Geriatrics. In a study of 29 participants, Schoenborn and team conducted focus groups with participants in various frailty statuses (frail, prefrail, nonfrail) and at different ages to evaluate existing ideas about frailty. Three major themes were established through this research. First, older adults’ ideas about frailty were different from the medical definition of frailty. Many of the participants associated old age with frailty, but not everyone who ages develops the medical syndrome of frailty. Second, participants who were in the nonfrail or prefrail stages were strongly against discussing frailty with their physicians. However, frail participants were more open to having the discussion, but without being labeled “frail.” Third, participants in all frailty statuses wanted information regarding prevention of frailty or ways to improve their current condition. 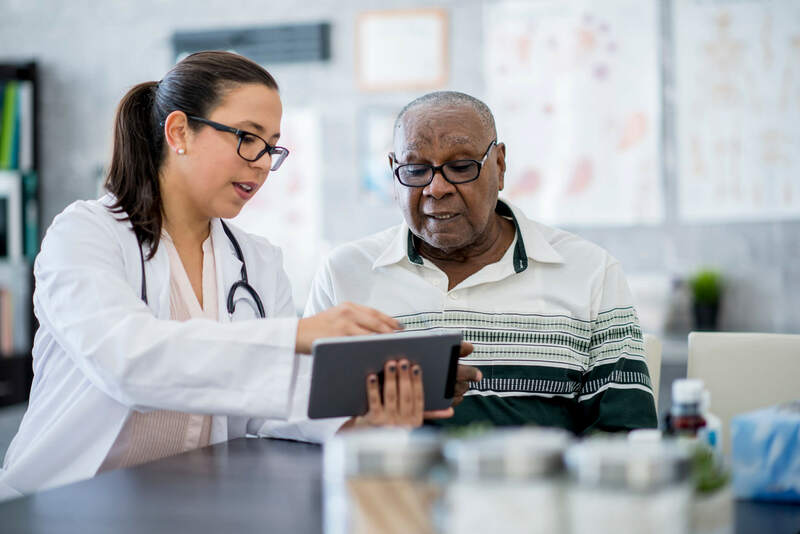 This study provides insight on how older adults perceive frailty, but further research needs to be conducted to understand the proper way in which physicians should communicate about frailty. Screening for cancer in older adults with limited life expectancy can oftentimes be more harmful than beneficial. However, studies have shown that clinicians may feel uncomfortable stopping cancer screenings on patients with limited life expectancy. In a study published on Aug. 1, 2017, in JAMA Internal Medicine, Schoenborn and other Johns Hopkins researchers conducted interviews with 40 older adults who were 65 years or older to understand what this population thought about stopping cancer screening when life expectancy is limited. Researchers found that the participants were open to considering cessation of cancer screenings. In addition, their willingness to consider stopping screenings was dependent on trusting their physicians. The participants expressed that they would commend their physicians for even providing this option. This study showed that older adults do not use life expectancy as a factor when deciding to stop screening; they are more likely to use age and health status to make this decision. Even though life expectancy was not used as a factor when deciding, the group was divided on whether or not physicians should discuss life expectancy in the cancer screening conversation. Researchers also found that the way a physician words the message about life expectancy is very important during the discussion about cancer screening cessation.